It's May 1653. When young Frederica (Freddy) O'Brennan and her sister Aileen trust a stranger on an empty beach in western Ireland, they inadvertently place themselves in the crosshairs of Cromwell's notorious Reign of Terror. Freddy awakens in the crammed hold of a slave ship bound for Barbados. She and Aileen endure the gruesome voyage only to be wrenched apart when purchased at auction by sugar plantation owners from different islands. Freddy is left alone to face the brutal realities of life as a female Irish slave on a seventeenth century Barbados plantation. As she struggles to survive the ordeal, Freddy's harrowing experiences paint an intimate, compelling portrait of 1650s Irish and African slavery in the Caribbean. Until I read this novel, I was unaware of the plight of the Irish during Cromwell’s period of influence in England. From the introduction, author Maggie Plummer opens her heart and explains the importance and significance of the suffering experienced by the Irish during the mid 17th century. To understand that any were placed into slavery came as a shock to me. And because of this, the novel is an important read for all those who love history. What better way to learn of the Irish’s plight than through a fabulously researched, well-told fictional novel. 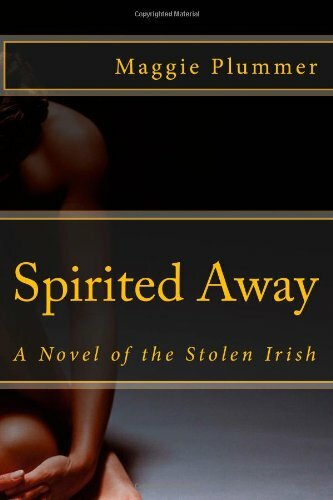 The story is told through the point of view of the main character, Frederica who is stolen off an Irish beach with her younger sister, placed into the hold of a ship, and taken to Barbados to be sold into slavery. Through her eyes, readers experience the cruelty, barbaric punishments, and grueling work the Irish faced as slaves. But the novel is not all doom and gloom. Rather, there are powerful lessons woven into the tale and profound romances that go well beyond the chains of prejudice. This is a book that brings to life the very real issues of prejudices, greed, and social status against Africans, the Irish, and Aboriginals. I was hard-pressed to put the book down and read the book in one day. Highly recommended.